Will Your A/C Survive The Summer? Has your air conditioning unit been giving you the blues? There are many ways to tell if your cooling system has been crying out for some much needed attention. 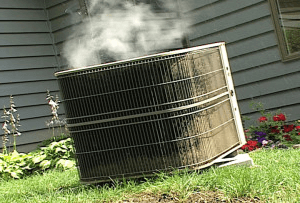 Though many of the A/C breakdown warning signs, like loud knocking sounds or buzzing, are very noticeable, there are some that can go unnoticed right up until the point where your unit gives out. If your air conditioning system hasn't been cooling to it's full potential, this may be a sign it’s time to contact a HVAC professional. Before you are stranded in the height of the heat with no way to cool down, be sure to take the steps to properly care for your system. There is fluid leaking from your HVAC unit. The A/C 'short-cycles' by turning on and off quickly. Your A/C is on, but air doesn’t feel cool. System doesn’t cool to the thermostat setting. If you are experiencing any of the above issues or some that aren’t mentioned above, be sure to contact Logan Services for your professional HVAC needs in Dayton, Columbus, Cincinnati Ohio.